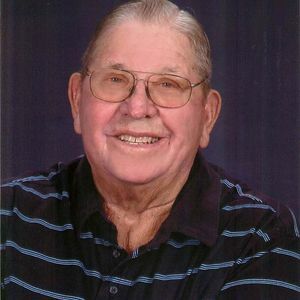 Earl "Moose" Blackburn, 81, died March 18, 2012, with his family by his side in Venice, FL. He was a devoted husband, loving father, and caring grandfather. He was born November 7, 1930 in Sarasota, FL to Oliver and Cornelia Blackburn. Earl spent his youth in Sarasota and Old Miakka. He graduated from Sarasota High School in 1949. After graduation Earl was drafted into the Army in 1950 in support of the Korean War. He reached the rank of Sergeant and continued his service as a trainer in the Ohio National Guard, where he made lifelong friends. Following his time in the Army, "Moose" began a 30+ year career with Florida Power & Light as a lineman and Sub-station supervisor. He progressed through the company until his retirement in management. In 1963 Earl was introduced to Elaine Baumann a nurse from Lombard, Illinois by her step brother Jarl Malwin and his wife Bev. Earl and Elaine married the following year on April 4th, 1964 in Michigan City, Indiana and moved into the house that Earl built in Nokomis, FL. He was an active member of the Venice-Nokomis United Methodist Church teaching Sunday school, playing on the church softball team, and various committees throughout his life. Earl belonged to The Venice Masonic Lodge and also served on the Sarasota County Fair Board for over 40 years. He especially enjoyed working with young members of the 4H and FFA clubs. Earls interests included his family, cast net fishing, his mountain house in Clayton, GA, and Blackburn's BBQ. Blackburn's BBQ began as a way to help the Nokomis Elementary PTA raise funds at their annual fair. After retirement, Earl grew his barbecue hobby into a catering business with help from his wife, children, family, and friends. Earl is survived by his wife Elaine; his brother George Harris Blackburn; his daughter Lori Marschewski, husband Bob, and their children Bobby and Megan; his daughter Cheryl Blackburn; his son Edward Blackburn, wife Tammy, and her children Justin and Hannah. Hi Roy, yes, Dad introduced them to how he bbq'd. My prayers are with the family and friend of Moose. I first met Earl when I began work with FPL. He was always so active in the community and with the county fair. He will be greatly missed. Earl will be missed by many for the life of service that he lived. Our SHS Class of '49 will have a vacant chair at the next reunion. His Christian life stands as a memorial to his core values. My condolences to all of the family. To the Blackburn family: We were saddened to hear about Earl's passing. There are so many memories of him that will continue in our hearts, and he will be missed. Our thoughts and prayers are with you. Earl will be missed. It was so good knowing him all the years during and since Sarasota High. My thoughts, prayers and condolences to all his family.